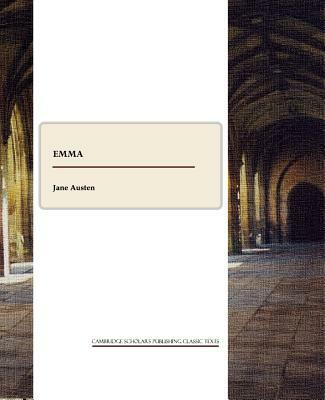 Emma is perhaps the most comic of Austen's novels, lighter than the early novels which made her name and just as intelligent and well-written. Jane Austen (1775-1817) is one of the most widely read English novelists. The seventh of eight children in a lively and affectionate, but also intellectual, family, Austen started writing as a child for their amusement. An eager novel-reader herself, with almost no formal education, she was educated at home by her father and brothers. By the age of twenty-three she wrote three novels, which were later altered into her most notable work: Sense and Sensibility (published in 1811), Pride and Prejudice (published in 1813) and Northanger Abbey. Her early writing resonated with satirical views of sentimental drama, a popular genre at the time, depicting social circles familiar to her through her own family circumstances. Three notebooks of poems, letters and other pieces, compiled by Austen later in life are now referred to as Juvenilia. It was the publication of reworked early writings Sense and Sensibility and Pride and Prejudice that brought Austen financial independence and popularity which allowed her to help support her family as she never married. Two more novels followed: Emma (1815) and Mansfield Park (1816) but by early 1816 Austen's health started to deteriorate. Austen continued writing, however, never resumed the same force of the early years. Northanger Abbey was published posthumously.